Tom Lindsay, known to many as the Bubble Man, has another life, one of a bricoleur. Lindsay likes using the French word to describe himself, which means a tinkerer or someone who makes things from available material. 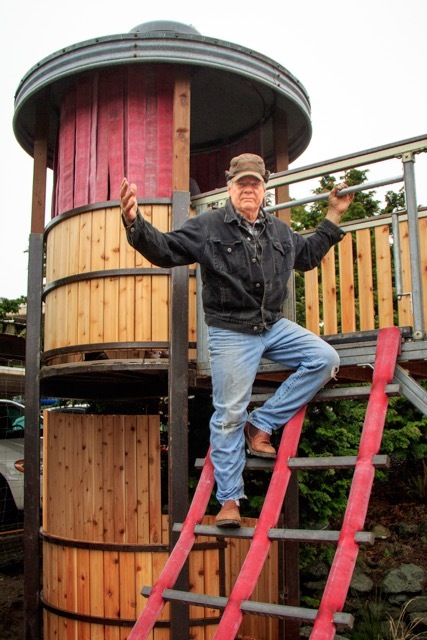 His latest bricolage is an outdoor playscape for children of the Fifth Street Commons in Langley, where Lindsay lives. 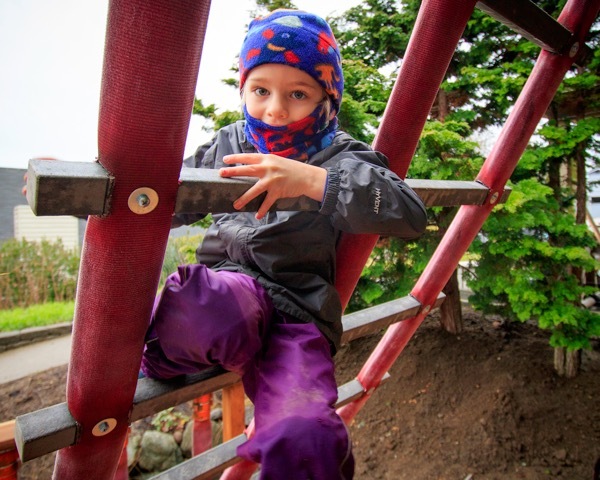 Ideas arise in Lindsay as easily as most of us breathe, and the playscape he imagined, designed, and built with fellow commoners, is a place of wood, metal, and quirky functional castoffs built on a peninsula that’s surrounded by the community rain garden. Lindsay hopes it will be the place for children to let their imagination roam by day and adults to toast each other with spirits by night. 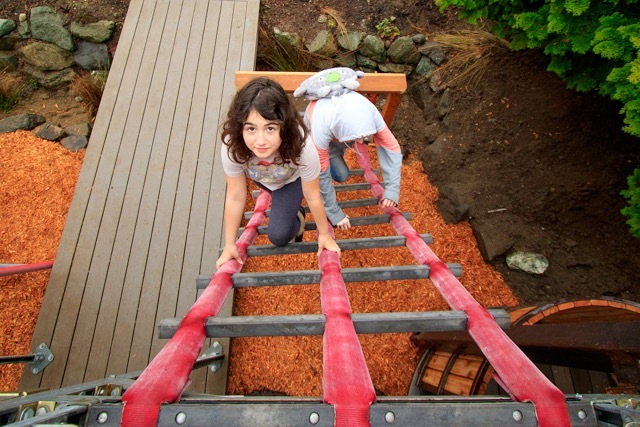 The basis for the playscape was a backyard project created by a Renton firefighter for his grandchildren. Its central component was a silo that had been turned upside down and converted into rocket ship. Lindsay found it on Craig’s List and, along with fellow commoners, disassembled it and brought it home to Whidbey Island. 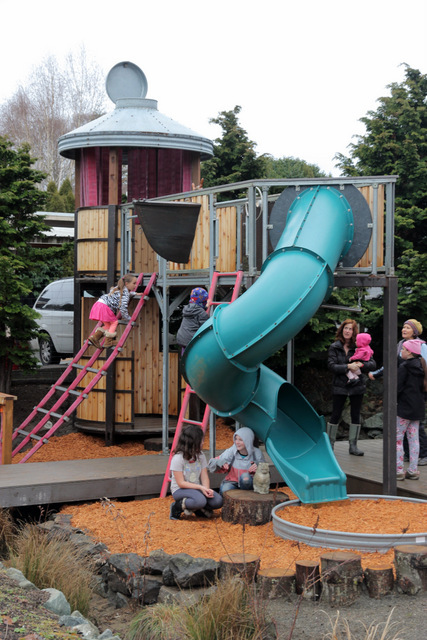 Imagine, if you will, a section of Langley’s Castle Park play structure, cloned and transplanted to this intentional community and given a total makeover with Lindsay’s treasures. People can drive a 1940s-era Dodge truck using a vintage Chevrolet steering wheel, and opposite that, they can use an antique ship’s wheel to pilot an original rental row boat that was used at Bush Point Resort back in the ‘60s. 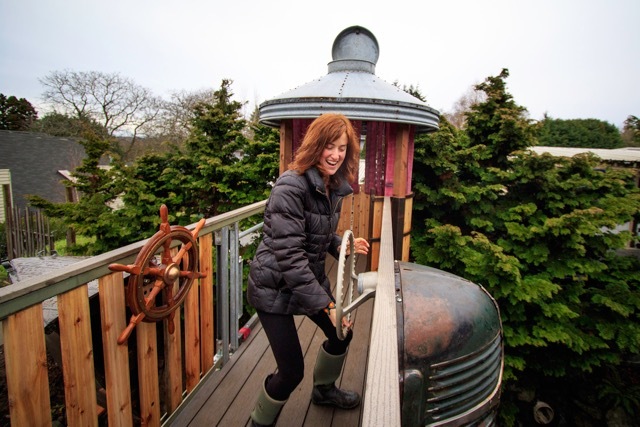 An antique fire bucket on a Chinese windlass will soon allow treasures to be cranked up to the second story from below without crashing back down, and old fire hoses become vertical blinds that create a secret hideout in a tower made from metal cable spools donated by Whidbey Telecom. This is what bricolage is all about. Lindsay’s playful design sense comes from his years of creating children’s exhibits at museums, notably his work as director of exhibits at the Children’s Discovery Museum in San Jose, California, and most recently at the Hands On Children’s Museum in Olympia, Washington. Combining a kids’ sense of play with design engineering expertise earned at Stanford, Lindsay enjoys scrounging for treasures. 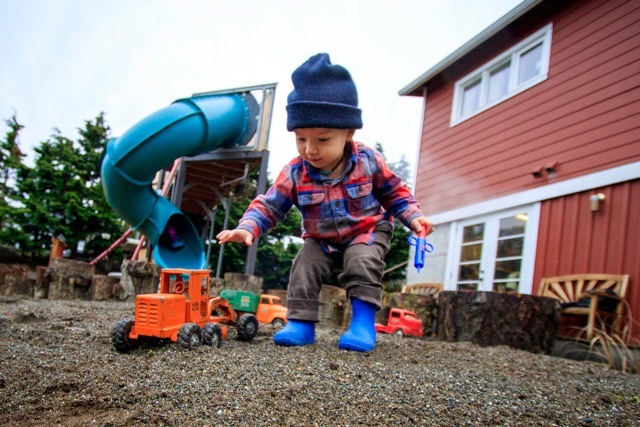 He’s found a goldmine at Island Recycling in Freeland, and excitedly shows cast-off building materials, such as metal support beams, that he found there and used in the playscape. The Fifth Street Commons began as the Northwind Apartments in 1996 and is made up of 16 one- and two-bedroom units. It was purchased in 2012 and converted into co-housing built on the intention stated on the association’s website: “Rather than merely seeking shelter, we come to be part of caring and sharing community.” There’s a sense of can-do-ness and right feeling there. “People are awesome here,” Lindsay said, coming out of the cold on a mid-January afternoon into the Common House, wearing a Dijon-mustard-colored Carhartt thermal coverall. “What works here are the different skills and interests people have. After moving here, I got excited about building something for the kids. 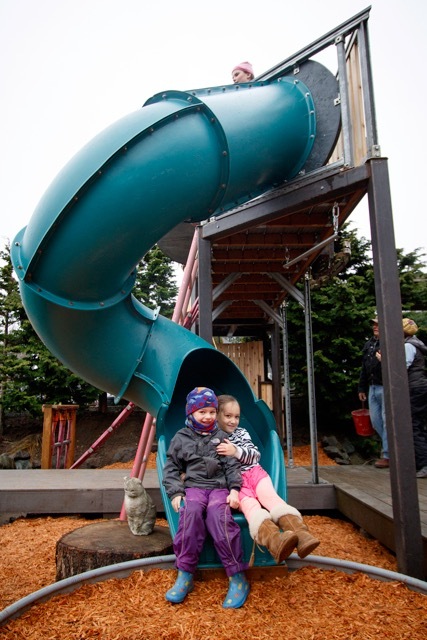 Fifth Street Commons children were first invited to play on the playscape at 2:30 on Sunday, January 22. 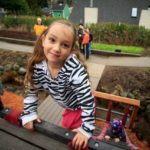 That evening, Teresa’s husband Cory Hess, sent an email message to the entire Commons community, saying that their 10-year-old daughter Rose and her 12-year-old friend played on the structure for hours in the cold and dark. Kate Poss worked as a library assistant at the Langley Library until last June. She was thrilled to work for three summers as a chef aboard a small Alaskan tour boat from 2008 to 2010. 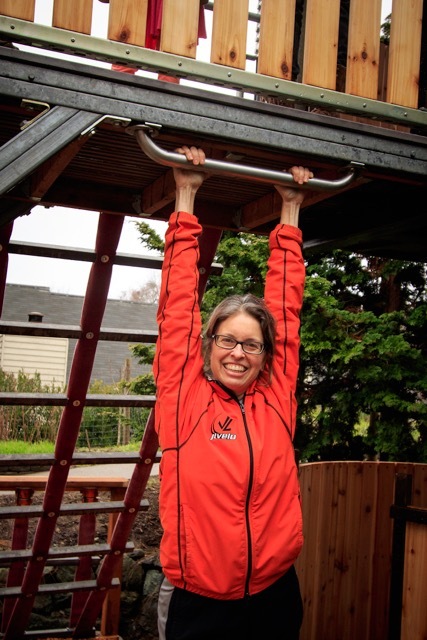 She was a newspaper reporter in Los Angeles for many years before moving to Whidbey Island, where she likes “talking story,” hiking, hosting salons, and writing her novel. To read more WLM stories and blogs, click here. Have a great story idea? Let us know at info@whidbeylifemagazine.org. What a beautiful gift of art and adventure!